From the third and "definitive" 1831 edition of Mary Shelley’s Frankenstein; Or, The Modern Prometheus. 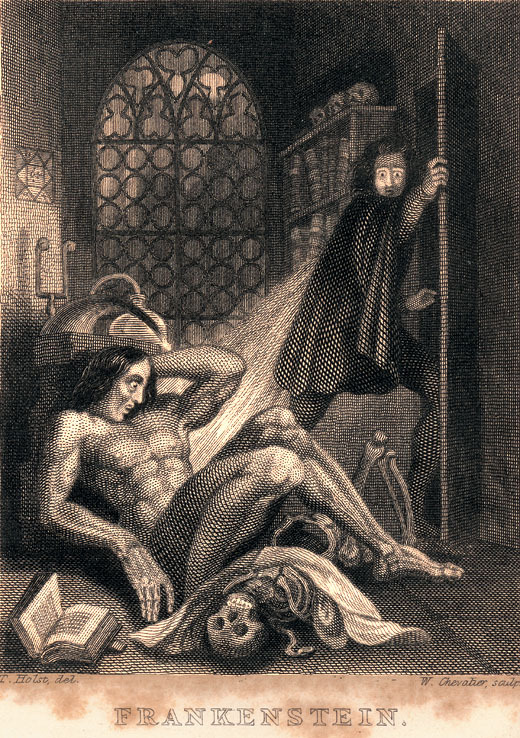 Following the book's description, the artist, Theodore Von Holst, depicts the Creature as a muscular giant with flowing black hair and tight, translucent skin that “scarcely covered the work of muscles and arteries beneath”. Note the bones visible in the arms and legs, and the curiously displaced head.